Portland has implemented a program to bring back people who have been pushed out by gentrification in the North and Northeast sections of the city. 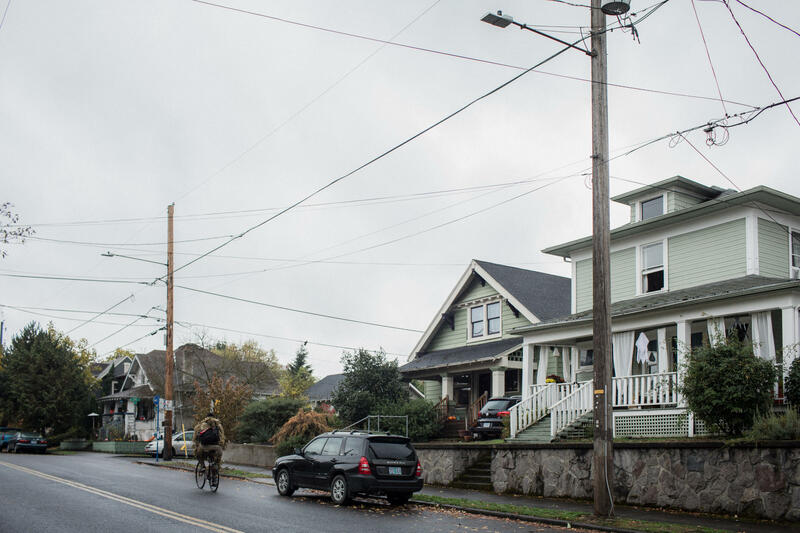 In the third story in our series "Growing Gains," we go to Portland, where the city has implemented a program to bring back people who have been pushed out by gentrification. The whistle from a cargo train rumbled through the front door of Natasha's new home in North Portland, reminding her of her family's roots in the city. PART 1 | Seattle Is Changing Who Gets A Say At City Hall. Could Austin Learn A Thing Or Two? Her grandparents lived along the river in Portland until 1948, when historic flooding hit the mostly African-American enclave. The family moved south of the river, settling farther into North Portland. The area became a thriving black neighborhood. Natasha lived in North Portland until 2000. After several rent hikes, though, she could no longer afford to stay. She and her then-2-year-old son moved to Southeast Portland. In September, she was finally able to move back to the neighborhood she grew up in. She bought a home through a city-run program built on the idea that people pushed out of rapidly gentrifying neighborhoods have the right to come back. Formally, it’s called the N/NE Preference Policy. Informally, it's called the "right-to-return" program. The City of Austin is looking into its own "right-to-return" program. But while Portland officials tout it as a national model, the city admits it has faced challenges helping people move back – and some who have applied for the program say a burdensome process to get approved is doing further harm. Who Gets The Right To Return? Since 2014, the City of Portland has dedicated more than $112 million toward affordable housing in North and Northeast Portland. Part of that program includes giving preference to people who can prove they, their parents or grandparents lived in these neighborhoods. “We wanted to make sure we captured that generational piece,” said Leslie Goodlow, business operations manager with the Portland Housing Bureau. Applicants get points based on their family’s former addresses: 0 to 3 points per address, up to a total of 6 points. Portland has dedicated more than $112 million toward affordable housing in the North and Northeast. Some addresses get top priority, since the actions that displaced those residents are considered especially egregious. For example, in the 1970s, roughly 300 homes were torn down when Emmanuel Hospital expanded its property in Northeast Portland. If a family was directly affected by the hospital expansion, it moves to the top of the list. But the program has been slow-going – particularly because the city needed to build rental units it could offer people on the list. In the meantime, Portland began accepting people from the preference policy for its homeownership assistance programs. While the city set a goal of helping 65 families buy homes, only nine have been able to purchase. That wasn’t for a lack of interest; instead, too few people were in good enough financial shape to qualify for mortgages. The city failed to set income limits for the homeownership program, Goodlow said, which was a mistake. “Anybody applied, even if they were on Social Security,” she said. Some people felt by failing to be clear about the program, the city created a false sense of hope. “You had some people hearing one thing, ‘Oh, I can be a homeowner,’” said Daniel Lechuga, a housing counselor with the African-American Alliance for Homeownership. The nonprofit helped some people on the preference list find homes. For example, Lechuga said, someone on Social Security, making $1,200 a month, was under the false impression that he could afford a house. Portland is banking on the fact that there are fewer barriers to qualifying to rent. This month, the city opened its first rental property where most of the units will house people from the preference policy list who make less than 60 percent of the median-area income, or $49,000 for a family of four. Chris Guinn grew up in Northeast Portland and has seen the black population decrease significantly. When Chris Guinn walks the streets of Northeast Portland, he can't go far without running into someone he knows. On a recent Thursday afternoon, a silver pickup with the license plate, “OBAMA,” pulled into a parking lot as Guinn was showing a reporter around his childhood neighborhood. “That’s my friend Geno,” Guinn said, greeting the man who hopped out of the truck. Guinn has lived in Northeast Portland since he was a kid. When he became a real estate agent in the 1990s, suddenly he found himself in a strange position. "Almost every client I had that was a seller was an older black couple. And all the buyers I had were young white people." “Almost every client I had that was a seller was an older black couple,” he said. 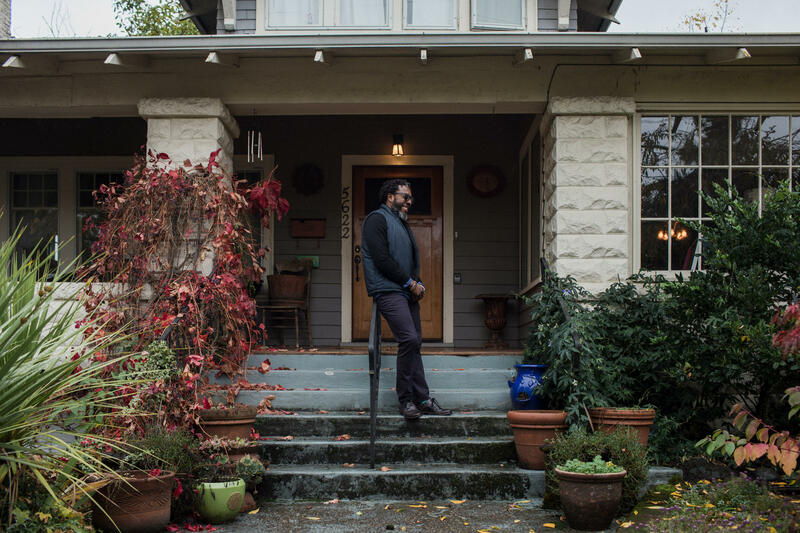 “And all the buyers I had were young white people.” Between 1990 and 2010, the black population in one neighborhood in Northeast Portland decreased by 20 percent. It was often unsettling, Guinn said. He tried to get his friends to buy the homes he was helping to sell, but they just weren’t interested. Now many houses in the area easily sell for $400,000. Shei’Meka Owens is one of the people trying to get back to North and Northeast Portland. To prove a historical connection to the neighborhood, she said, she had to provide public school records for her mother. Throughout history, black people have been questioned over their rights to land, education and worth. Having to prove she and her parents used to live in North and Northeast Portland just felt wrong, she said. Goodlow said she recognizes the limits of a program like the preference policy. There are people, she said, who just aren’t interested in moving back – especially with the help of the city. So, What's Austin To Do? North and Northeast Portland in many ways mirror East Austin. Both were thriving black neighborhoods with populations that have since been pushed out by rising housing costs. When Austin City Council members voted in March to have the city look into the feasibility of a "right-to-return" program, they asked staff to look at Portland’s model. Staff is scheduled to present their findings to council next month. Longtime residents of historically black East Austin have been displaced over the years by rising housing costs. Mayor Pro Tem Kathie Tovo, who wrote the resolution, stressed that Austin’s version of a "right-to-return" program is still in its nascent stages. “At this point, we’re really just trying to push through some of the legal obstacles to see if this is a strategy that we can deploy,” she said. But she said she’s excited by the passage last week of a $250 million bond for affordable housing. That money can be used to preserve and build new affordable housing, and Tovo said the city could require that a certain number of tenants come through a "right-to-return" program. The city hasn't designated which neighborhoods would qualify for a right-to-return program. Tovo said the city could use a recent study it commissioned from the University of Texas that identified gentrifying neighborhoods and those at-risk of gentrifying soon.